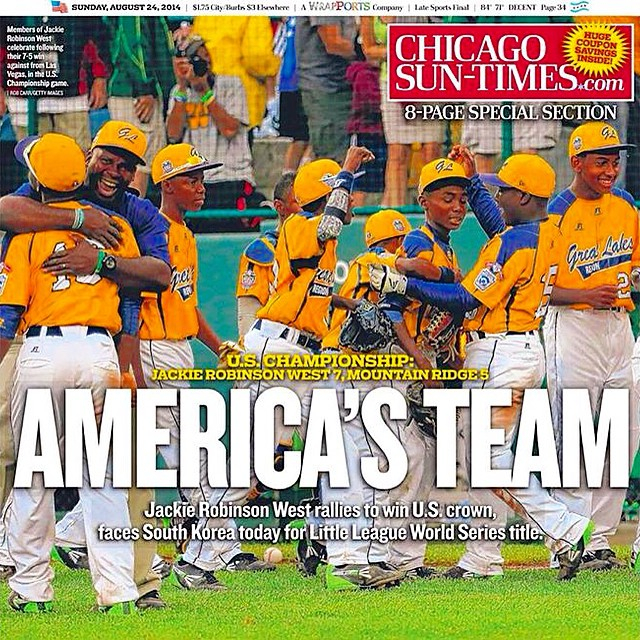 This morning Chicago woke up to learn that our Little League Champions, Jackie Robinson West, have been stripped of their title, ostensibly for using players from outside league-prescribed boundaries. Throughout the day I’ve watched as friends have posted their reactions on social media and one type has caught my eye. It goes something like this: Yes, it’s really sad that these young men have to suffer the consequences of adults who made bad decisions, but rules are rules and this was the right decision. I especially noticed this particular reaction because I agree with its logic in theory. There was an emotional reaction on social media today that was also worth noting. This one goes something like this: It is no consequence that the first all-black champions are the ones who are being targeted for violations. This would have never happened to a mostly-white team from the suburbs. It’s an emotional reaction because it’s almost impossible to prove. But does that mean it’s wrong? I’ve written about this extensively and I don’t have the time to cite the endless examples now, but the fact remains that young, black men in this country face an incredibly uneven playing field. From how they are perceived in classrooms to how they are profiled on the way home from school, young African American boys have to work twice as hard and be twice as good as their white peers. So yeah, all things being equal we Chicagoans could be frustrated about the coaches and other adults who made poor decisions and then move on. But all things aren’t equal and it’s the worst that this team who inspired such joy has been made into a reminder of something so wrong. To me they will always be the rightful champions.